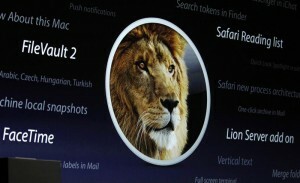 Apple released details on the successor to its “Lion” operating system for Mac computers, due out late this summer. OS X 10.8, dubbed “Mountain Lion,” will inherit features already running on iPhones and iPads such as iMessage, Notification Center and AirPlay mirroring, according to an Apple press release. Game Center will give Mac users the opportunity to square off against gamers on iOS devices as well as other Mac users. A new feature called “Gatekeeper” is meant to give OS X users more control over what apps can be downloaded onto their Macs, further distinguishing Apple-approved apps from third-party ones. The plan to introduce more iOS functions to Apple’s desktop and laptop OS comes as Microsoft prepares to make its desktop applications more mobile with a rumored fall release of Windows 8.